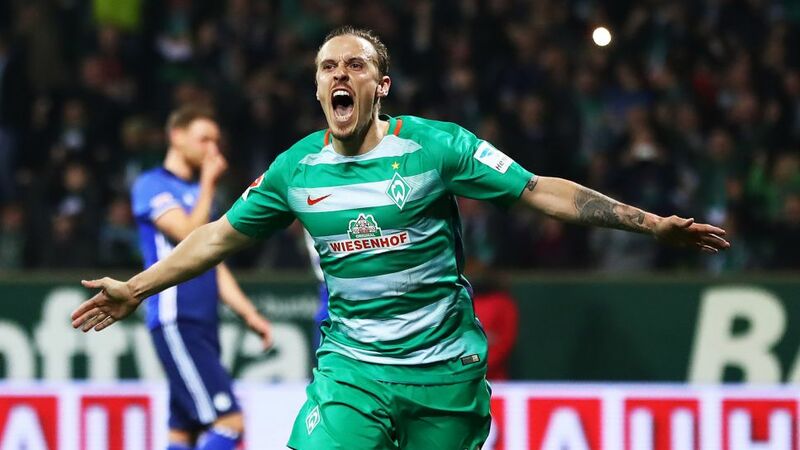 After scoring once in January, once in February and twice in March, few observers could have predicted the explosion in form that would grip Werder Bremen’s Max Kruse over six games in April. Click here to add on-fire Kruse to your Official Fantasy Bundesliga team! The striker scored in successive wins against Freiburg and Schalke and then in the derby against local rivals Hamburg, before plundering an astonishing four goals at Ingolstadt that sealed Bremen’s eighth win in ten matches. In truly the form of his life, he finished off the month with a goal and an assist in a comprehensive victory over Hertha Berlin, taking his tally to eight strikes in just six Bundesliga games. In Europe’s top leagues, only Barcelona forward Lionel Messi’s numbers compare to the 29-year-old, whose contribution has helped transform Bremen from nailed-on relegation candidates to UEFA Europa League contenders since the turn of the year. There could be hope yet for Kruse to add to his four goals in 14 international appearances. Click here for the latest Bremen news!